At Lombard Kotze Incorporated we take pride in our enhanced sense of ethics. We are a young energetic firm. We always strive for excellence and professionalism. We work in an honest and diligent manner, always protecting the interests of our clients. It is important to us that all our employees share our passion to look after the interest and well-being of our clients. We are governed by and strictly adhere to the rules of the Law Society of the Cape. We will never do anything to compromise our moral convictions or our good name. 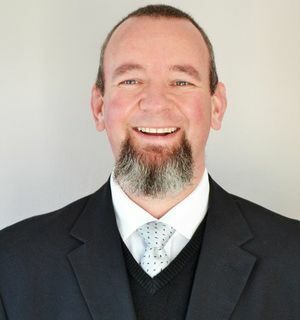 Freddie Lombard established Lombard Attorneys and Conveyancers on the 1 April 2003. The company was founded on a strong base by acquiring the core business from a long standing concern which had been in operation in George since 1987. 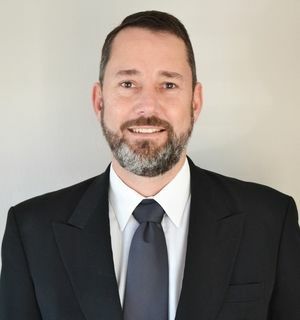 In October 2005 Freddie was joined by Chris Kotze who became a partner in the firm in March 2015. The partners decided to incorporate the firm in August 2015 and changed the name to Lombard Kotze Incorporated. We concentrate on building our fast growing correspondent practice by delivering excellent service to correspondents in High Court and Magistrates Court Litigation matters. We have a fast growing civil litigation practice in the High Court as well as Magistrate's Court. We have an established network of correspondent attorneys from Plettenberg Bay to Mossel Bay and Oudtshoorn. We can assist you with all aspects of civil litigation including, but not limited to contracts, family law, divorce matters, motor vehicle accidents, delictual claims, commercial matters and many others. We have a dedicated team attending to all aspects of conveyancing and other property related matters. We can assist you in property transfers, applying for and obtaining a bond, registering bonds, subdivision of land, sectional titles, new developments and more. We offer the best service possible. Our aim is to supply quick, professional service delivered by loyal and competent staff. The core business taken over by Lombard Attorneys in April of 2003 was a debt collecting firm, which is currently still in operation, managed by us. We attend to a large number of debt collection matters. Our debt collecting clients include approximately 90 medical practitioners, 3 schools and several other businesses. We have also been appointed by a large debt collecting company to handle their collections from the legal stage onwards. Collecting debt is probably one of the most important parts of running a successful business. Few businesses can survive when their cash flow is strapped due to bad debt. We believe that a client becomes a debtor on day 31. We can assist you with collecting outstanding debt. Our collections department is very efficient and we make it our business to ensure that you are paid what is due to you. Administering a deceased estate can quite easily become a very daunting task, especially when the nominated executor does not have any experience in this field. This task is also made all the more difficult when the nominated executor is a family member of the deceased as there is unquestionably a lot of emotions involved after the loss of a loved one. We are able to administer and oversee the whole process of the deceased estate in the fastest manner possible ensuring the least emotional stress to the family. It is important for every person to have a well worded will setting out exactly his/her final wishes concerning the division of his estate and assets. A will is a legal document and therefore we are convinced that qualified attorneys are best equipped to draw up a will. We are always ready to assist you to draw up a legally sound will and to assist in the administering of the estate.